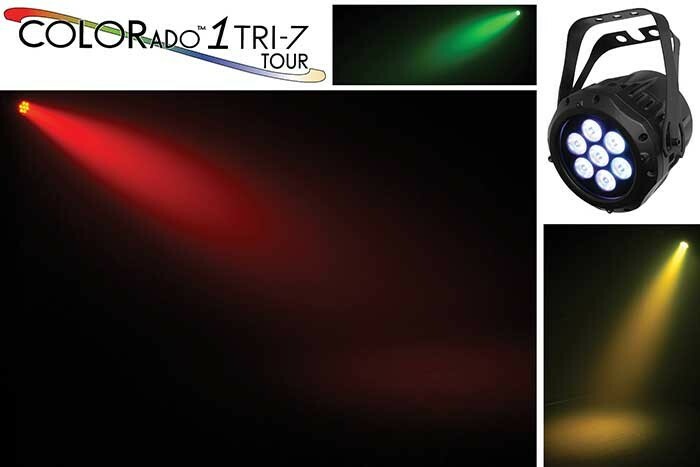 Chauvet has announced the compact wash luminaire COLORado 1 Tri-7 Tour, ideal for installation in tight locations without a compromise in output. 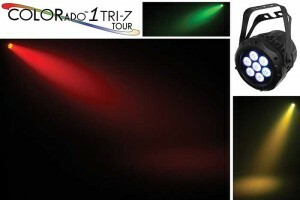 Compact and sturdy, COLORado 1 Tri-7 Tour is designed for smaller spaces, mirroring the great features found in the popular COLORado 1-Tri Tour wash light. Equipped with 7 tri-coloured RGB 3-watt LEDs, it features a colour temperature range of 2,800 to 10,000K. Specially designed optics allow the light from the LEDs to converge before leaving the fixture, ensuring better colour mixing, while five dimming curves and optional colour blending filters further enrich the wash possibilities. The 16-bit dimming of each colour (and master dimmer) sets it apart from every other light in its class. Weighing only 7.7 pounds, COLORado 1 Tri-7 Tour is easy to mount, also due to a double-bracket yoke doubles as floor stand for usage flexibility. Connection is quick and safe with Neutrik powerCON power in/out connectors, and 3- and 5-pin DMX.